The following advice comes from Rick Mofina, a former journalist whose "crime thrillers have been published in 21 countries." Some of the best advice on what it means not to flinch was given by Robert Wiersema at the Surrey International Writer's Conference a couple of years ago: SiWC 2011 Day One, Part Two: Don't Flinch: Robert Wiersema. You have, at most, two pages to grab a reader. You have to grab them in the first scene, in the first sentence. How do you do this? You create a question in the readers mind. The reader must answer the question to understand the sentence. This is like foreshadowing, but it is less obvious. A hook is implicit foreshadowing. 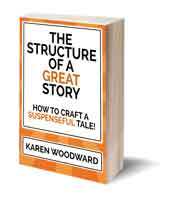 How does the plot build suspense? Imagine you're driving down the road and you see a car in the ditch. What is going to happen? Everyone will slow down to look at the car and they'll wonder: What happened? It is part of our nature. Frustrate your character. Which newspaper headline would grab your attention: "Man on the run" or "Man captured"? - Have reversals. Characters should be frustrated at most turns. Here's the trick: the plot should be inevitable but not predictable. The plot should not be the same thing you and your readers have seen dozens of times. How do you avoid this? THE KEY: The reader should always know slightly more than the character. Let the reader know an event is coming before the character does. - In order to create suspense, the readers' expectations must be both met and undermined. What we are talking about here is shameless manipulation. You are telling people lies in order to get the response you want. I constantly have to remind myself not to flinch. I want my characters lives to be effortlessly wonderful but that wouldn't make for an interesting story. Brief but helpful post. "The readers' expectations must be both met and undermined"--brilliantly stated! I also have problems with my characters--I always want everything to be perfect and think "No, I can't do this to them." but in the end, that makes for a pretty boring story, doesn't it? I'll have to work harder on that! "... but in the end, that makes for a pretty boring story, doesn't it?" Definitely! I was telling a friend the other day, if I could go back and tell my younger self one piece of writing advice it would be: Give your main characters arcs! 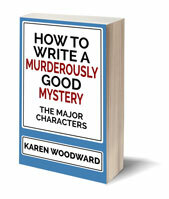 "THE KEY: The reader should always know slightly more than the character. Let the reader know an event is coming before the character does." It's like leaving breadcrumbs that the reader has to pick up before the character! Yes!! That's it exactly! I love that analogy, thanks for sharing.